3 Oz. 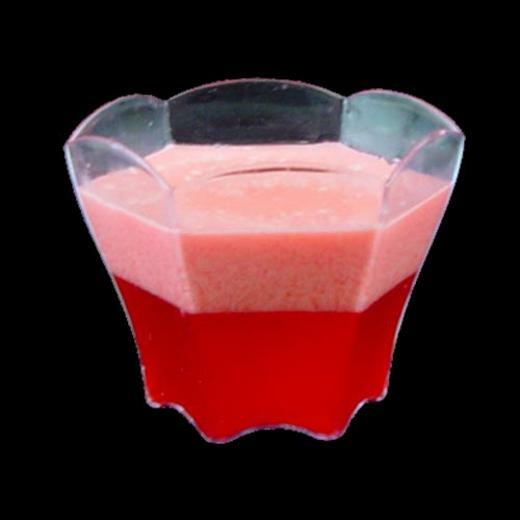 Miniature Flower Dessert Cup - 10 Ct.
Great for desserts, tasting dishes, or palate teasers! Perfect for banquets, buffets, and much more! Our line of miniature plates and dishes are the perfect way to showcase your culinary creations! Made of premium plastic, these 3 oz. mini flower dessert cups feature a modern six sided design that is certain to make a bold statement at your next event. Great for desserts, tasting dishes, or palate teasers! L: 2.5 in. W: 2.5 in. H: 6.0 in.